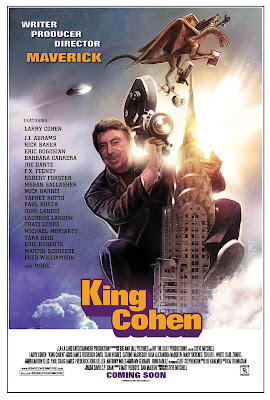 The highly anticipated "King Cohen," the true story of writer, producer, director, creator and all-around maverick Larry Cohen will hit VOD August 14 from Dark Star Pictures. Cohen, best known for resourceful low-budget horror and thriller films that combine social commentary with prerequisite scares and welcome humor, is responsible for celluloid classics including "Black Caesar," "It’s Alive," "Q: The Winged Serpent" and "The Stuff." He was also a major player in the Blaxploitation films of the 1970s, as well as a prominent Hollywood screenwriter ("Phone Booth"). Winner of the 2017 Fantasia Fest Best Documentary Feature Audience Award, "King Cohen" hails from Rondo Award-winning writer/director Steve Mitchell, whose film and television credits include co-writing the beloved cult horror/comedy Chopping Mall. "King Cohen" is a La-La Land Entertainment production, in association with Big And Tall Pictures and Off The Cliff Productions. 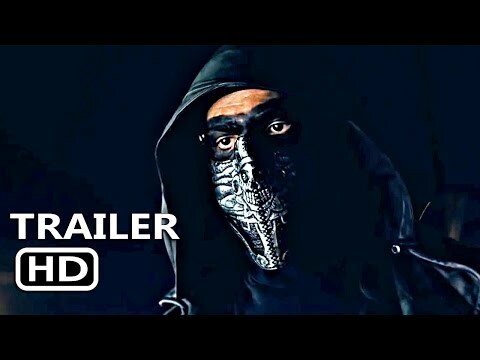 It is directed and produced by Steve Mitchell and produced by Matt Verboys and Dan McKeon.